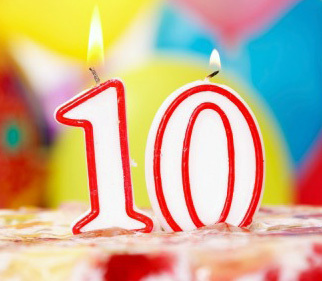 ExtraTorrent is celebrating its tenth birthday today. After having been in the industry for a decade, ET has seen a lot happening in the torrent world. Today it serves an important role in file sharing among other large torrent engines. Exactly ten years ago today, ExtraTorrent was introduced to the public. Though there were already large torrent sites like Mininova, ET quickly began to gain users. Most of the torrent websites from the time have been shut down already, but ExtraTorrent is live and getting much web traffic at all times. One of the biggest reasons why this torrent engine is still here with us, is its large and active community full of loyal daily users. Millions of people all over the globe use ET and its torrent search to find and download torrents. The forum is a useful place to exchange knowledge; administrators and moderators are investing a lot of time and effort to make ExtraTorrent clean of spam and malware. The team behind ET promises to keep up the good work and verify torrents in order to take care of all the users. Also they have ongoing site improvements at hand which will make the engine even more convenient in the future. While several big names have been shut down this year, ExtraTorrent has been able to avoid any serious and big legal troubles. Though the team admits that this area is hard and dangerous, they are sure that torrents as well as file sharing in general will not fade anytime in the future.